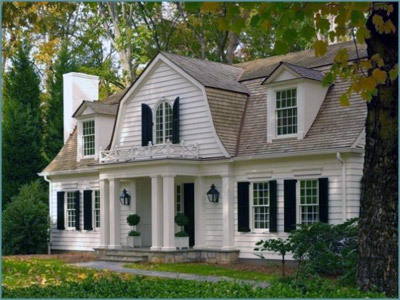 Estate Millwork's exterior shutters are built to withstand the extremes of your outdoor environment. Our Spanish Cedar is naturally resistant to moisture, fungus and insects, as are our Western Red and Mahogany shutters. With proper maintenance, which can begin with a factory finish, our hand crafted construction techniques will give you years, decades, of beautiful use. We use only the top grades of lumber, and hand select each board for quality and yield. Unlike many of our competitors, we are a complete vertical operation -- we control our own timberland, operate a green sawmill, dry kilns and have our own finish mill, CNC department, and hand assembly craftsmen. This tight vertical integration gives us the upper hand on quality of material, price, and yield. What it means to you is the best outside shutter at an affordable price. We still hand joint every board in every shutter. This costly, time consuming process allows us to build solid wooden shutters, without lamination, staves or finger joints, while still preventing stress related quality problems in the field. Hand jointing relieves the stress placed in wood as it is dried, even if it is carefully dried as we do in our dry kilns. After hand jointing, our lumber is processed in our highly automated finish mill, that is literally programmed by you, our customer, by virtue of placing an order on our website. Our finish mill can quickly and automatically set up to saw rough lumber into the dimensions needed for your custom order. This means that we can provide you with a complete custom outdside shutter, at the lowest possible cost, because many customizations are automatic for us.